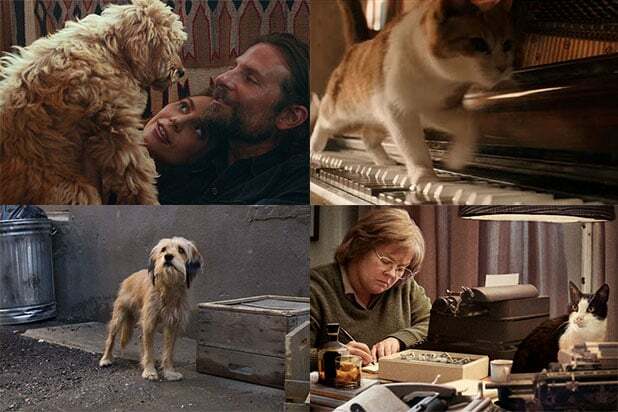 Animals should win Academy Awards -- especially these cuties! Click through to see which animals starred in which movies in 2018. West Highland White Terrier in "Widows" -- and "Game Night" According to Animal Casting Atlanta -- a company that provides animal actors for film, television, music videos and print -- Olivia, a “walking stuffed animal,” stars in “Game Night,” “Widows” and Netflix’s “Insatiable." She is a three-year-old, 15-pound Westie. Her trainer, Greg Tresan, told The Ringer that Olivia had her own trailer on the set of “Widows” and received on-site touch-ups. In the film, she plays Viola Davis’ companion as her character, Veronica, mourns the death of her husband and gets roped in to some dangerous business. 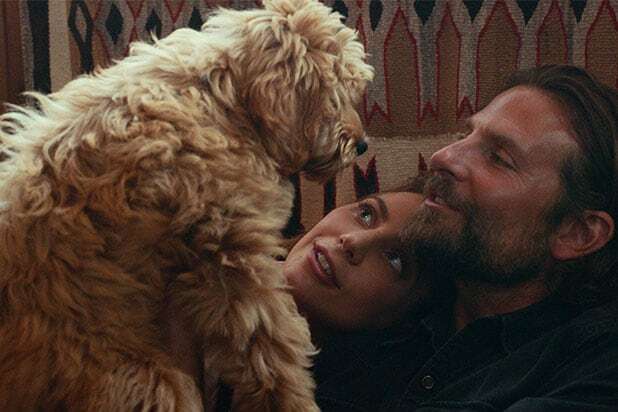 Bradley Cooper's Dog in "A Star Is Born" In his directorial debut, Bradley Cooper cast his own dog, Charlie, in "A Star Is Born." Charlie is a loyal companion to both Cooper's and Lady Gaga's characters in the remake. PETA honored Cooper for the act instead of using animal actors. Freddie Mercury's Cats in "Bohemian Rhapsody" Freddie Mercury loved his cats (at one point, he even had 10), and his lover Jim Hutton wrote in his memoir that “Freddie treated the cats like his own children. He would constantly fuss over them, and if any of them came to any harm when Freddie was away, heaven help us. During the day the cats had the run of the house and grounds, and at night one of us would round them up and bring them inside.” In "Bohemian Rhapsody," Mercury's devotion to his cats is clear. Each feline gets its own bedroom in Mercury's house, and he even asks his girlfriend Mary Austin (played by Lucy Boynton) to put the cats on the phone while he's on tour. Dog in "Aquaman" Aquaman's earthly family owns a dog and as Arthur Curry grows older, his loyal friend stays behind on land. But my, oh my, is the puppy cute when they first get him! Wolf in "Alpha" The wolf in "Alpha" is named Chuck, a wolf-dog whose lineage stems back to when the Czech military bred wolves with German Shepherds in the 1950s, according to the Los Angeles Times. “He's got some dog in him, but he is very wolf-like in his look and aloof in a way that dogs aren't," dog trainer Mark Forbes told the publication. Benji in "Benji" Brandon Camp's new "Benji" film revolves around the orphaned puppy named Benji, so naturally, this canine made our list. While the film itself received mediocre reviews, Benji was a scene-stealer. "Dog Days" Who doesn't love to watch an ensemble of pooches on the big screen, accompanied by stars like Eva Longoria, Vanessa Hudgens, Adam Pally and Finn Wolfhard? Melissa McCarthy's Cat in "Can You Ever Forgive Me?" Lee Israel's girl cat (Jersey) in "Can You Ever Forgive Me?" is actually called Towne and is really a boy, according to Jezebel. Jersey is a scene-stealer and bodes as a loyal companion to Israel throughout her criminal actions. Apollo the Horse in "The Rider" When making a movie about horse wrangling, it takes time to get the horses to stay calm around an entire film crew. Fortunately, "The Rider" starred real-life cowboy-turned-actor Brady Jandreau, who worked closely with director Chloe Zhao to get the multiple horses used in the film ready for the cameras. "Dogman" The Italian Oscar foreign-language entry, "Dogman," has a slew of dogs, who collectively won the Palme Dog in Cannes this year -- and yes, that's a real award. Dog in "Paddington 2" In the sequel to the beloved "Paddington," Paddington rides on the back of a dog in his quest to retrieve a stolen gift. Director Paul King told Film School Rejects that the dog, named Wolfie, was a combination of real dog and CGI.